Matt practises in all areas of family law. He acts for a range of clients in financial proceedings, including in TOLATA claims. He is frequently instructed in private law matters and is comfortable providing representation and advice at all stages of proceedings. Matt often represents parents, children and local authorities in care proceedings as well as representing parties in injunctive relief proceedings under the Family Law Act 1996. Matt prides himself on his thorough preparation of cases, his detailed legal knowledge and his ability to provide simple and practical advice in complex cases. Matt regularly represents applicants and respondents in private law Children Act proceedings. He has experience at all stages, from pre-proceedings conferences through to final hearings. Matt is instructed in simple and complex matters alike and successfully completed a 6-day fact-finding hearing involving numerous serious allegations of harm. Matt provides practical and pragmatic advice at all stages of proceedings and endeavours to find a realistic solution to complex cases. Recent cases have involved implacable hostility to contact by a parent as well as intractable opposition to contact by a child. Matt is frequently instructed to act for parents, children and for local authorities in public law proceedings. He is instructed in interim hearings, interlocutory applications and final hearings. Matt offers sensible advice to clients and ensures that he listens to the client’s concerns, always ensuring that their case is put fully. Recent cases involve an 11-day final hearing acting for a mother in which eleven witnesses were required due to the complexity and the extent of the factual dispute. Matt has an emerging Court of Protection practice and accepts instructions from all parties. He has a personal interest in Court of Protection cases as given his previous work as a Care Assistant to individuals suffering from mental disabilities. Matt regularly represents petitioners and respondents in financial remedies proceedings. He is comfortable providing advice and representing clients at all stages of proceedings. Matt is frequently instructed in cases involving complex business structures and multiple properties, as well as cases involving elements of non-disclosure, conduct and contribution. Matt is able to identify the salient issues early on and therefore ensure that the strengths of his client’s case are highlighted whilst the weaknesses are suitably insulated. Recent cases include a 2-day final hearing which required forensic cross-examination and a detailed analysis of the Court’s powers regarding Pension Sharing Orders. Another recent case involved a short-marriage with extensive pre-marital assets – the case successfully concluded at the Financial Dispute Resolution hearing. Matt is confident in providing advice in respect of TOLATA claims and has experience in dealing with cases involving equitable accounting as well as other equitable reliefs, such as laches. 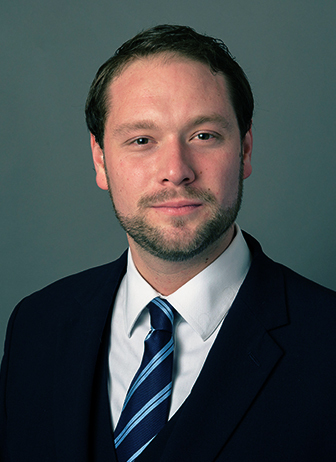 Matt enjoys cases with an international aspect and accepts instructions from all parties. He has a particular interest in international abduction and relocation cases.